Last fall, I visited Opus 40, an amazing environmental sculpture park located in Saugerties, NY. 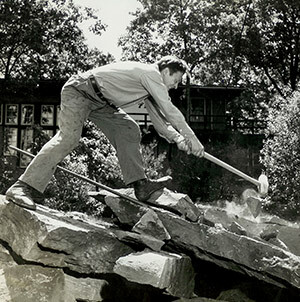 In 1938, Harvey Fite, an Amercian sculptor, painter, and one of the founders of Bard College's Fine Arts Department, purchased an abandoned bluestone quarry and began construction on what would become Opus 40. Over the next 37 years, Fite ended up creating a 6.5-acre labyrinth of stone. The nine-ton monolith was set in place using techniques adapted from ancient Egyptians, and is held in place by its own weight and balance. Swirling out from the nine-ton monolith, which is situated at the center of the site, are ramps, stairs, stone walls, and narrow subterranean paths, some as deep as 16 feet, with bridges connecting the overhead stone terraces. It was a beautiful and surreal experience walking through the cool dark corridors of stone which, depending on the path taken, would lead to the blinding sunlight found on the plateaus around the monolith, trees and pools, Outlook Mountain perfectly framed off in the distance, or seeing nothing but stone. The layered paths create a fantastic play of light and shadows, highs and lows, open and closed, as you weave through and explore the sculpture, each nook becoming its own unique environment. Although Fite spent much of his life working on Opus 40, it was not initially intended or designed to become what we see today. In 1938, Fite purchased this quarry as a site to build his home and art studio. During the summer of that year, he worked for the Carnegie Institute and helped to restore the ruins of the great Mayan civilization at Copan, Honduras. This work deeply affected him and, upon his return, Fite began experimenting on his own and testing the Mayan techniques with the stone in his quarry. 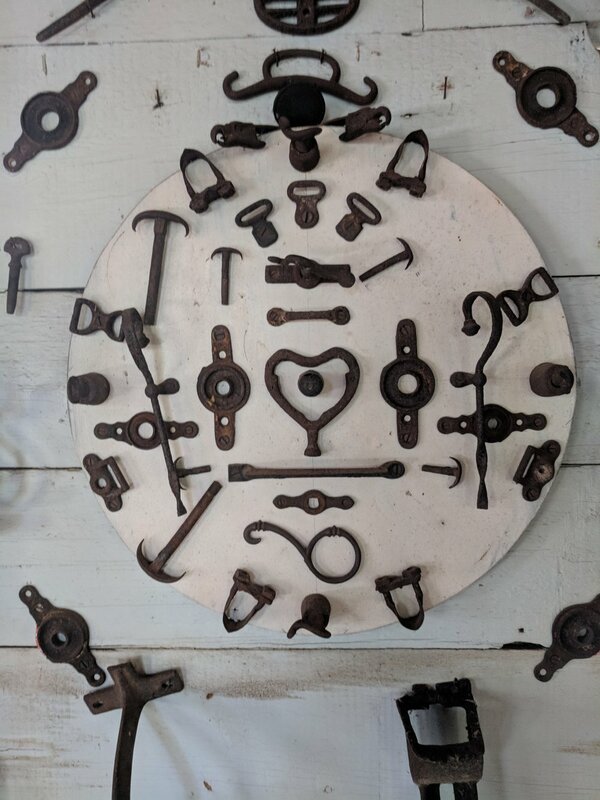 He initially created various statues on the site, and began building walkways, steps and ramps to connect them, by using only traditional hand tools. Some 25 years later, when he was able to erect the monolith, which he found in a nearby stream, he began to see the whole site as a single sculpture and continued to work on it for the rest of his life. The site also includes Quarryman’s Museum, showcasing a large collection of indigenous tools of quarrymen, similar to the hand tools used by Fite to single-handedly create this extraordinary site. 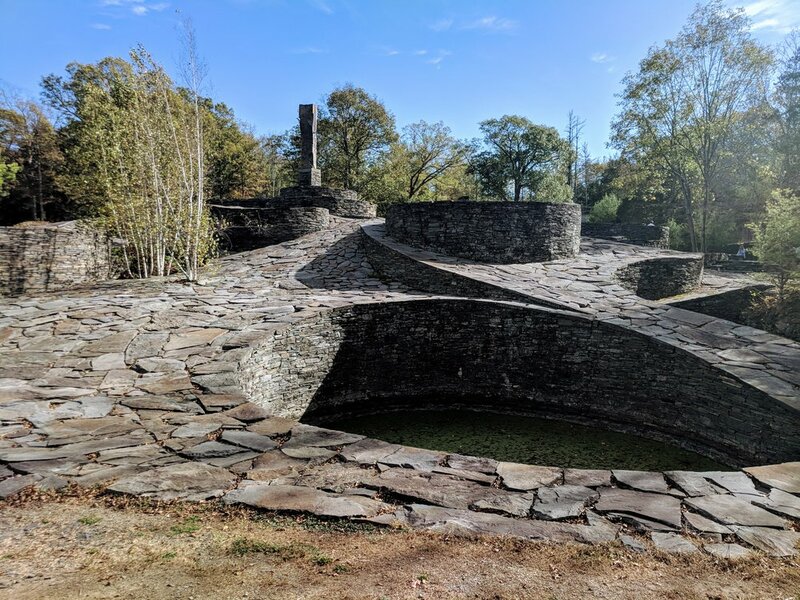 Opus 40, which is on the National Register of Historic Places, is open from Memorial Day weekend through October, Thursday-Sunday from 11:00am - 5:30pm. I would highly recommend a visit, next time you're near Saugerties.